$600 to reserve your spot, payment options available once registered. Package include tuition, course manual, accommodation, airport transfer, delicious buffet breakfast, lunch, afternoon fruit snack and dinner; unlimited filtered water, fresh coffee and herbal teas. A group opening and closing dinner on the first and last evening are included. 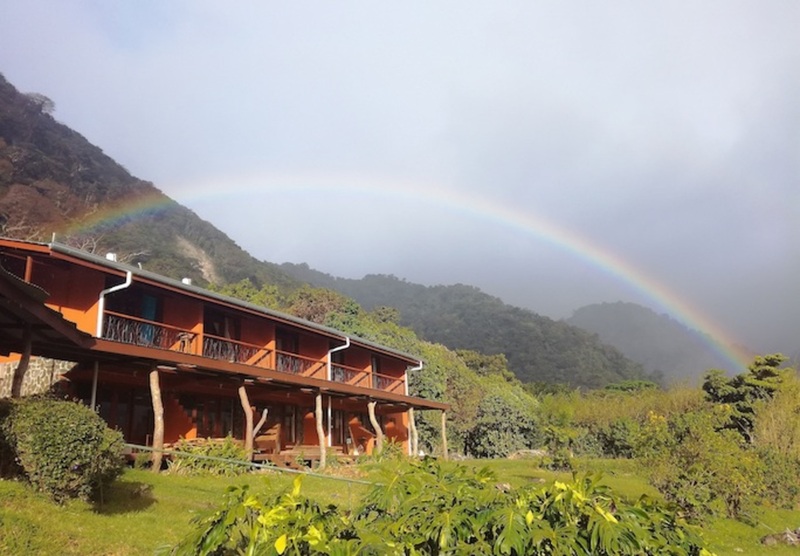 Hugged by the Monteverde Reserve, the warm days, cool nights and rainbow-generating mist invites you to nestle into the amazing nature and wildlife that surrounds us. 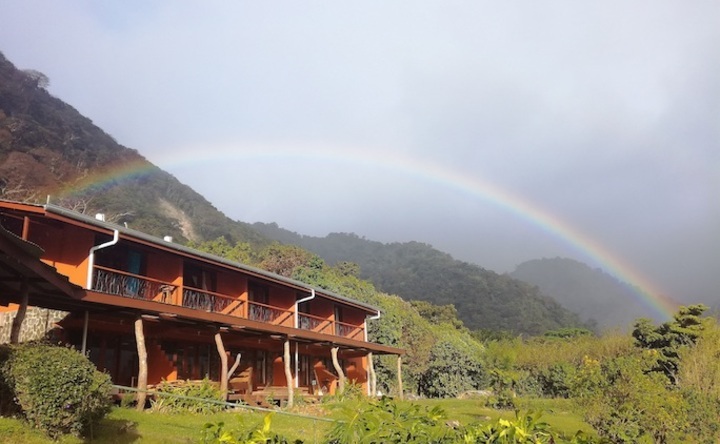 Building on the pillars of peace, truth, equality and love, Finca Camino Nuevo offers a supportive, safe place for all our retreat participants. Accommodation: Designed as a place of comfort, the lounge is the hub of the retreat where you can relax, eat and chat. As your home away from home, kick off your shoes and lounge on a day bed with a book. Make yourself a tea or coffee and check your emails or chat with new friends. 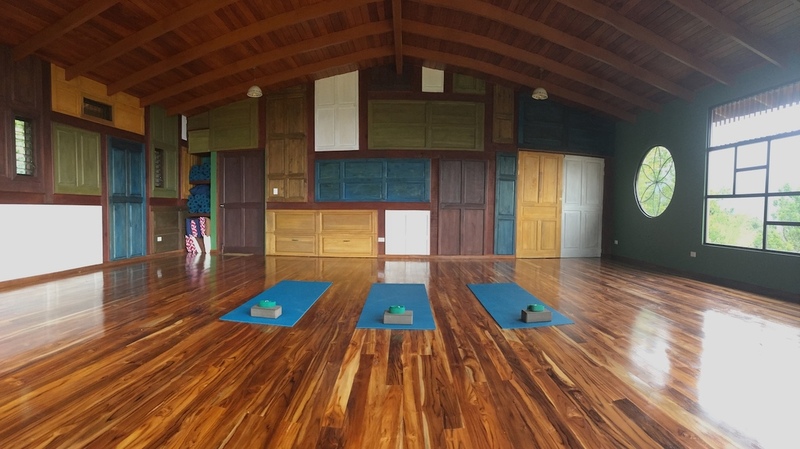 The spacious dining area, beautifully designed indoor yoga shala, magical maloca for meditation, fire-pit and sweat lodge bring everything together for the ultimate retreat experience. All rooms are unique and allow you to experience the stunning beauty and tranquility of the environment. Each has a double and single bed, fitted with lush blankets and colorful comforters, with a private bathroom and solar hot water shower. Sit and relax on your private deck, admire the view of the surrounding mountain scape and view out to the Gulf of Nicoya. 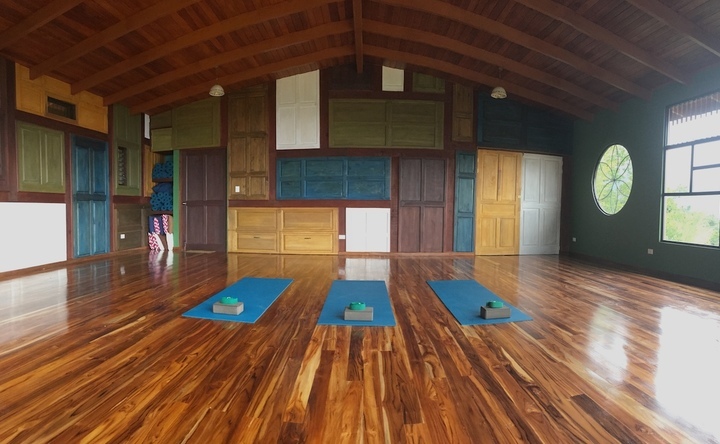 Schedule: This yoga teacher training is s 21 day intensive. We will work from 6am to 6pm with adequate breaks throughout the day. Every Friday will be available for free-time to explore the beauty of Monteverde including jungle hikes, oceans, local shopping and more. Food: Using local, organic vegetables, fresh tropical fruits, farm fresh eggs, locally produced chicken, beef, fish and dairy products, we provide Farm to Table meals to nurture your body and soul. Vegan + Vegetarian + Meat friendly start to finish. Transportation: Transportation from the airport to the retreat center will be provided. We ask that once you book your tickets you provide us your flight information so we can arrange groups for shuttle. Flights not included. 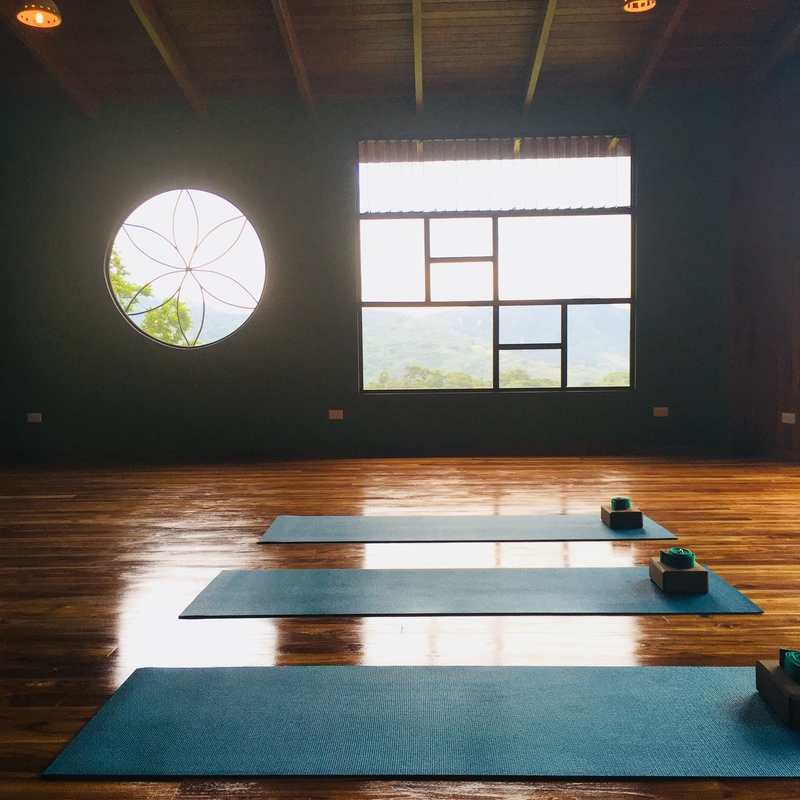 A brand new sustainably-built 10-room retreat center in the mountains of Monteverde, Costa Rica. A San Diego resident since 2008, with 18 years of competitive running, 13 years of yoga practice, 7 years of physical therapy, and teaching yoga since 2015, Lauren has the background and knowledge you need. 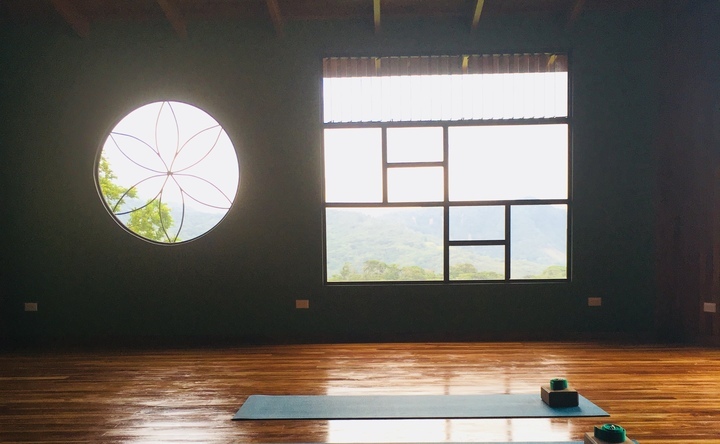 Her extensive knowledge as a Doctor of Physical Therapy merges with her understanding of yoga to provide a unique platform for teaching anatomy to current yoga instructors, yoga teacher trainees, and yoga students. Combined with her background as a runner who found yoga (initially) to balance the physical demands of her sport and her passion continues to introduce other endurance athletes to yoga.